If this is your idea of a "holy" war, then I guess I've been using the word incorrectly for a lot of years.... 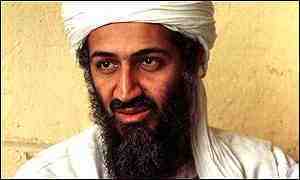 Some folks were offended by the crosshairs which originally were on this photo of Mr. Bin Laden. There, they are gone. If you want to target this guy, draw your own.